In business since 2008, Green Energy Mechanical is a HVAC company specializing in all kinds of heating and air conditioning systems. As a family-owned, local company, we care about the well-being of our customers. This is why we specialize in energy-efficient HVAC systems. We want our customers to benefit from energy savings and be able to stay comfortable all year long while heating or cooling their homes affordably. Green Energy Mechanical is a BBB Accredited Company with an A+ Rating. 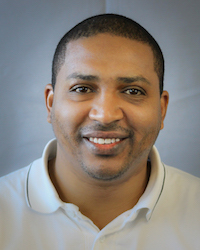 Jonathan Neves has worked with Green Energy Mechanical since 2008 and has been in the industry for 20 years. He started as a HVAC service technician for commercial buildings and eventually came into the residential market. When asked what he likes most about working with Green Energy Mechanical he replied, “It is a great feeling to see a client get excited about how quiet their new system is, or when I receive an email about how low their gas bill is. I love making a difference.” When Jonathan is not busy working, he loves spending time with his wife and little boy. Jonathan believes that what really sets Green Energy Mechanical apart from their competition is how compassionate his employees are. He is continually impressed by how much everyone who works for the company really cares. Green Energy Mechanical has stayed on jobs until very late hours into the night just to make sure that a client had heat because it was predicted to be a very cold weekend the next day. Green Energy Mechanical is fully committed to making our customers happy! Their existing equipment is old and inefficient. One of the easiest ways to save money is to replace old, inefficient equipment with an Energy Star rated system. During the site visit, we will also determine if there are any ductwork adjustments that need to be made in order to make the system perform even better. Their existing equipment is costing them too much money in repairs. As systems get older, the likelihood that they will break down increases. Choosing to keep an unreliable system that breaks down can prove to be more expensive than replacing it with a new system under warranty. They are tired of spending excessive money on energy bills. Since the heating and AC equipment accounts for half of the home’s energy usage, replacing HVAC equipment is an easy way to see a high return on investment. The best part is the returns are tax free! They are looking to reduce their carbon footprint and lessen their impact on the environment. Many of our clients started off with oil heat or resistance electric baseboard. This is a very costly way to heat the home. During our site visit, we recommend solutions that will help them to heat and cool their homes for a fraction of their monthly energy costs while significantly reducing carbon and sulfur emissions. For example, an oil-to-gas conversion can save roughly 2 tons of carbon dioxide per year! "Recommended Areosealing. Others never even mentioned it was..."
Green Energy Mechanical knows there are numerous heating and air conditioning companies from which to choose. That is why we make sure we stand out from the competition. We have high customer satisfaction ratings. We have award winning customer service. See for yourself! Look us up on Home Advisor, Google, BBB, Angie’s List, Yelp or Facebook. When you hire Green Energy Mechanical, you’ll have peace of mind knowing that you hired the best and the job will get done right the first time. We specialize in energy efficient solutions. Even though most homes in New England are similar, every home is unique in its heating and cooling needs. During a site visit, we perform a detailed analysis of the home and the current condition of the heating and air conditioning equipment. We also discuss the client’s concerns for efficiency and energy savings. We’ll then provide a heat loss analysis to determine the correct size of the equipment as well as options that our clients can choose from that will fit their budget and HVAC needs. We provide extensive employee training. In-house training: We meet with our technicians on a weekly basis to discuss any questions and concerns. We also train our employees on customer service, technical “hands on” training, and troubleshooting techniques and methods. Factory training: We send our technicians to factories to receive hands-on training during slow times. This allows them time to tear down equipment and rebuild it while getting questions answered from factory workers on site. When your technicians perform an installation or service at your home, they are not only familiar with the equipment, but also have the most up-to-date knowledge on how to repair and install it.